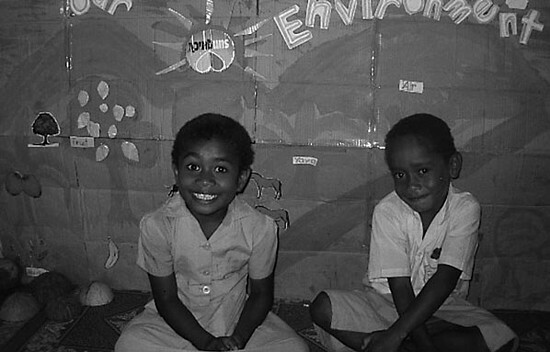 The RAP, conducted in 10 sites across Vanuatu, PNG, Fiji and Solomon Islands, comprised over 320 participants representing at least 20 communities (see Appendix 1). Overall men and women were equally represented, however the majority of community leaders were male (ratio 17:1) and youth groups were also male dominated. The age range of participants varied from 14 to mid 60’s. There was considerable overlap in age between the youth groups and the leaders and women’s groups, with youth age ranging from 14 to early 30’s. Community leaders, women and youth groups in all communities had strong links to the church, although denominations varied. Whilst most leaders would be educated to grade 8 and above, literacy levels in the other groups were variable. • A problem to be solved. Most participants found this activity relatively easy, and were very clear on the decision that they had made, with varied reasons provided for their decision to choose a particular conception. The distribution of perceptions was relatively even, however the percentage of people who viewed the environment as nature or the whole planet were generally lower compared to those who viewed the environment as a resource (Figure 1). 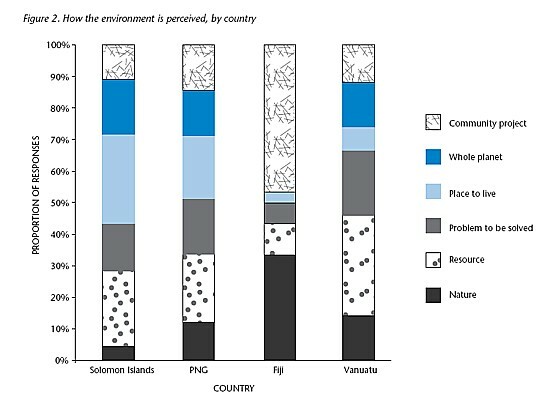 Although overall responses were quite evenly distributed, there were some marked differences in the perception of the environment between the Pacific Island countries; Fiji in particular showed a stark contrast to the other nations with a much stronger perception of the environment as a community project or nature and much less so as a resource (Figure 2). Where the environment was seen as a resource, connections were frequently made with subsistence living and earning money. It was notable that when the environment was seen as a problem to be solved, participants explained that the environment provides many essential resources for the people, and that environmental problems are linked to health issues. Of those who perceived the environment as the whole planet, many referred to the interconnectedness between humans and ecosystems, including air and water. 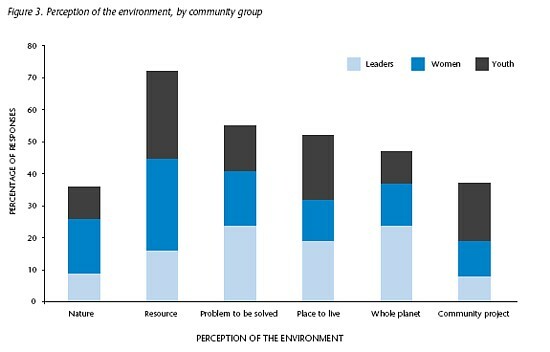 There was little difference in perceptions of the environment between groups (women, leaders or youth) aside from women and youth having a stronger perception of the environment as a resource than leaders, who were more likely to take the broader perception of the environment as the whole planet (Figure 3). 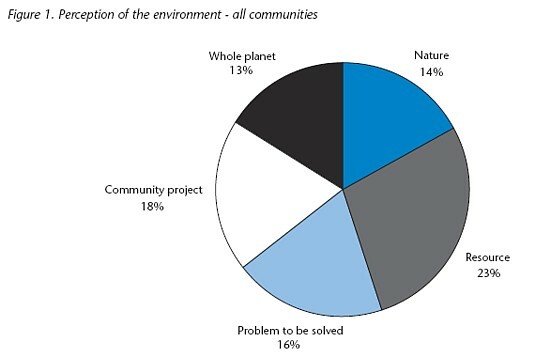 The environment is perceived in many different ways, however the perception of the environment as a resource was universally high in all communities.